Location: 5 km west of Penkun, 3 km southeast of Schmölln. Reached by taking the A11 exit. 1.5 hours from Berlin 1.5 h and 30 minutes from Szczecin. 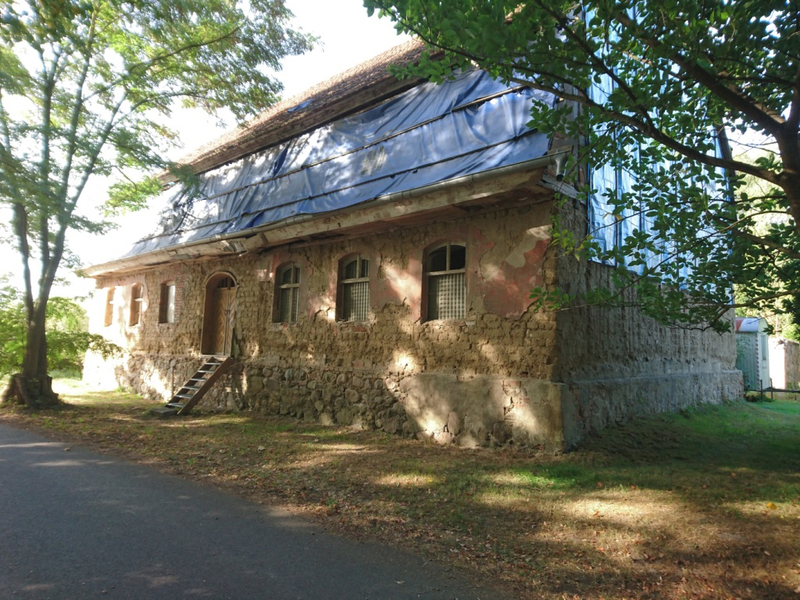 Around 5 km west of Penkun, in a scenic location, lies the property formerly known as the Radewitz Estate. The first known mentions of the property are traced back to 1289. By 1480, the land had come under the same ownership as the surrounding villages and town of Penkun. Originally belonging to a line of Pomeranian dukes, the property was passed to the Schulenburg family around 1480. In 1615, the estate and the surrounding district was sold by Joachim II of the Schulenburg family. 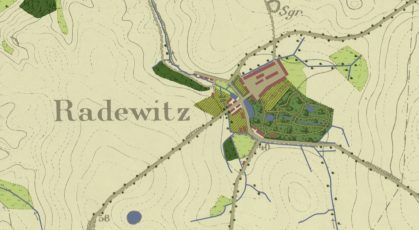 With this sale, the Radewitz Estate, as well as the town of Penkun, came under the governorship of Henning von der Osten. By the middle of the 18th century, the secretary of state, Ehrenreich Bogislaw von Creutz, came into possession of the property. His daughter and heiress married Christian Graf von Hacke and the property changed hands again. The von Hacke family remained owners until 1817, at which time the von der Osten family reacquired the property. Finally, in 1945 the property was expropriated. 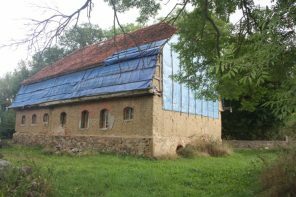 The estate complex of Radewitz was built in stages during the 14th century and has since been constantly rebuilt and renovated. The earliest form of the castle and garden is estimated to have been constructed by the von Hacke family during the 18th century. The development of the park into an English garden was then undertaken by the von Osten family. 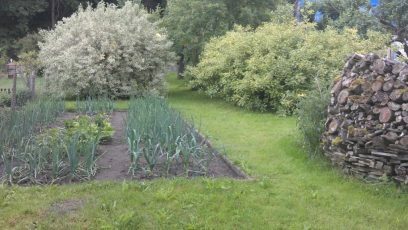 Unfortunately, due to changes made during the GDR times, only the garden is now worth visiting. The listed home is included on the surveys of 1827, as well as on the later survey of 1887. Located west of the castle, and most likely the estate keeper’s home originally, the house is believed to be much older. The 7-axled house stands on a sturdy stone base and is crowned by a high mansard roof. With walls built entirely of mud bricks and timber, the house stands apart from the other building styles of the region. 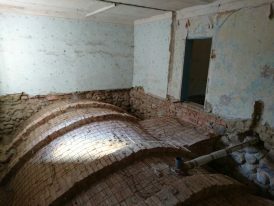 Additionally, the exposed barrel vaults of the cellar are a highlight. 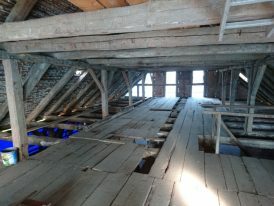 The house is completely gutted and, with a careful approach towards conservation, a partial renovation has begun. All expected utilities, including electricity, water and sewage are installed at the house but are not yet connected. 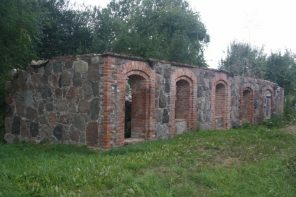 The preserved remains of the former stables are also located nearby. All things considered, this property is a unique opportunity in both design and potential. 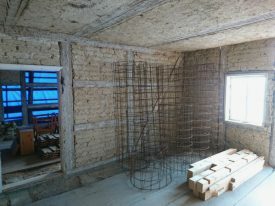 With some love and determination from the owner, this will become an exceptional home.